A brown belt breaks her board with a flying side kick. 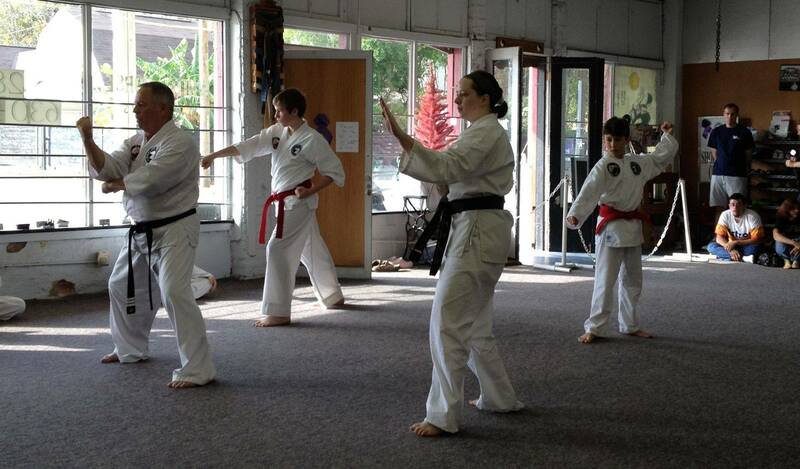 Red and black belts perform forms for their rank test. 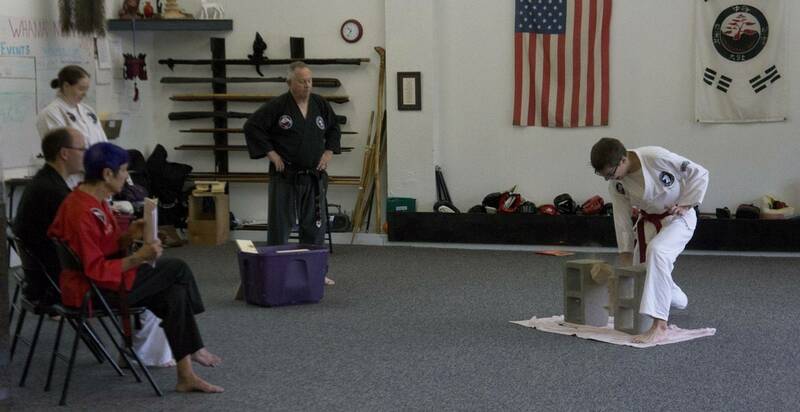 A red belt demonstrates practical skills for his black belt test. A red belt smashes through his brick, passing his test for 1st Dan Black Belt. 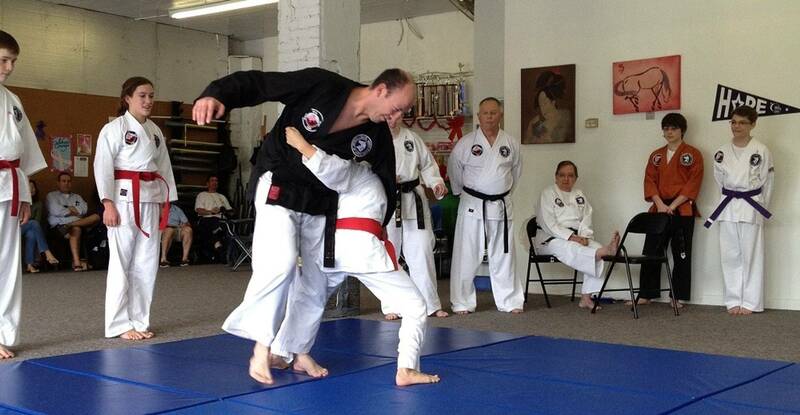 Martial Arts training is for everyone. We at White Horse welcome students of all ages, because no one is ever too old to begin training. Children as young as three years and adults over seventy train in our school. The benefits of Martial Arts include self confidence, self esteem, good physical and mental health, self discipline, and many more. People start training for different reasons, but they reap all the benefits. Focus on self defense is foremost. Children learn how to protect themselves in schoolyard situations as well as more serious attacks. Adults learn techniques that help them in everyday life. 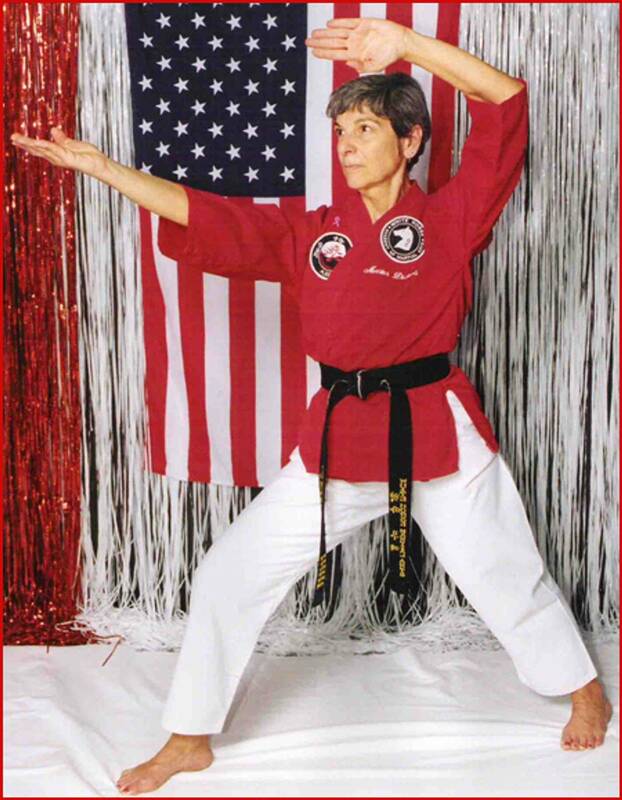 Martial Arts training enhances your life for a lifetime.